Make the open web cool again? It looks like the open web is having a sort of renaissance in certain segments of the web. You can read some articles from John Gruber, Dave Winer, and Joe Cieplinski. The term open web is amorphous and means many things to many different people, so trying to nail down a single definition and meaning is akin to nailing Jello to a wall so I’m not going to try to do it. However, I will throw my hate in the ring and state that I have similar questions about where the web is headed and the continued increase in influence the largest of companies. Google, Facebook, Amazon, and others do not seem willing to concede control to users and this worries me. John Gruber of Daring Fireball spoke at XOXO 2014 and they recently posted his talk on YouTube about content on the web, companies, Daring Fireball … and other things. The entire talk is really good (the most quotable stuff is near the end) and it is mostly clean (language-wise). I’ve been on an “IT operations” kick with my reading recently, and my choice this time was a little different from the others I have been reading. Web Operations: Keeping the Data On Time by John Allspaw, Jesse Robbins is not immediately applicable (or at least obviously so) to the situation I find myself in every day. It is also an older book, so in the intervening four years some things have changed, but it is remarkable how much of what was being talked about as “the future” has come to pass. The first fifth of the book was easy to read and then the middle two-fifths was a bit of a slog. I’m not 100% sure why that was, but it was just the way it was. Then I hit my stride again and finished it out within a few days and things went well from there. If you are looking at some of the difficulties of working in large-scale deployments for the web, this is the book for you. If you are looking for some guidance on how to try to contain the complexity of modern system deployments, this is the book for you. If you are looking for prescriptions … um, you are going to need to look elsewhere. This book is meant to give you a good, 10,000 foot view of web operations from top-to-bottom. From overall architectural choices to an overview of the what NoSQL can mean (I told you this was looking into the future we live in now), each chapter will take a different look at a certain aspect of web operations. I recommend it to any system administrator who is trying to get their head around the inherent complexity of IT operations today, but you are going to need to pace yourself. I went ahead and setup a recurring task in OmniFocus so that I would at least read a few chapters each day. App-pocalypse Now by Jeff Atwood got some play last week around the web last week (or was it the week before, I can’t keep track of these thing) and it has been sticking in my mind since then. I do not want to go back to the web-centric world for all applications. The idea that every application should be and live on the web does not excite me in the least. Do not confuse what is best/easy of the developer for what is best/easy/wanted for/by the user/consumer/customer. They are not always the same. I think that is the main gist of it. I was going to originally just tweet this out, but it would have been too much for poor Twitter and I’m sure that Phil would have complained about me spamming his timeline again. 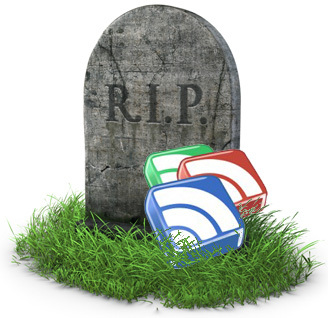 As has been known for a few months, Google is shutting down Google Reader on July 1. Sadly, no clear alternative has come out for me … or at least, not a complete solution to replace my reliance on Google Reader + Reeder. As such, I am just going to outline, briefly, what I have tried and what I am holding out for at the moment. Luckily, I have moved off of Google Reader (and have for the past month or so), but now I am starting to think about how I might mitigate this issue from happening again in the future. I give them credit, they have a very pretty-looking site and pretty apps as well. No app on the Mac is a bit of a problem, but it works pretty well. They just switched everyone over to their own backend, so it is definitely an alternative. One issue I have had is that it is just so DESIGNED. I’m not quite sure what doesn’t sit well with me, but their entire experience is so full of whiz-bang effects that it doesn’t quite work as just a simple, easy, feed reader … which is what I am looking for. Reader + Reeder was able to cut out most or all of the cruft that Google kept bolting on, so it worked really well. So it might work for you but it really didn’t work for me. It also invited me to get into categorizing my feeds more, which is a time-sink and the cost-to-benefit ration quickly dissipated over time. I don’t need additional stuff. Oh, it is also free, which is not going to turn into a theme for the rest of this. From David Smith comes a pay-to-play RSS reader. For a subscription fee of $19/year you get access to the Feed Wrangler backend, the online reader, and (currently) the two iOS apps made specifically for Feed Wrangler. While the feed scraping isn’t as fast as Google Reader, being able to pay for the backend myself (or help to do it) makes me feel better about the service as a while. While currently there is not a Mac app available, Silvio Rizzi, the developer of Reeder, has announced that he is currently working on adding Feed Wrangler support for future versions of Reeder on both Mac and iOS. The current iOS apps work well, and I’m sure David will continue to update them, but I’m hoping those mythical Reeder updates come out soon so that I can hook up my Feed Wrangler subscription and be a happy person. It is a simple service and that allows it not to annoy me as much as Feedly did/does. Right now this is where I house my RSS feeds until such a time as something better shows up. The grandfather of RSS applications on the Mac. Black Pixel just released the first public beta of NetNewsWire 4 for OS X and it is fast. It is pretty. It is an OS X app through-and-through. Those are all things in its favor currently. Sadly, it is also incomplete and lacks one of the basic things missing from any solution replacing Google Reader: syncing. … but the current beta is so good that I am trying it out as a secondary feed reader on just OS X. My hope is that their sync solution will maybe allow me to host it myself on my own server, but I will just need to wait and see. Just go and try out the beta and see if you like it. So far I’m extremely happy, but I need to see how they are going to handle sync and also when they are going to get their iOS apps out before I can choose this as a complete solution. Right now, there is no complete solution for me. Reeder doesn’t support Feed Wrangler yet, Feed Wrangler doesn’t have an OS X app yet, and NetNewsWire is the least-ready of them all … with an OS X application. So, I keep my stuff in Feed Wrangler for now and hope that I will have a better picture by the time my subscription is due next year.